Studying abroad in Florence? Awesome— I bet you’re starting to think about planning your weekend trips. There’s so much choice but it’s hard to know what will make a good weekend trip from Florence for study abroad students. So I’ve put together this VERY comprehensive list of great places to visit for a weekend during your study abroad semester in Florence. Generally speaking, you want to book your weekend trips as far in advance as you can for cheaper prices. If you have a group of friends who you’ll be studying abroad with that you think you’ll want to travel with too, it might be worth booking your first weekend trip together before you get to Florence, or booking any trips that will get filled up fast, like Oktoberfest and Springfest (more on that later). Be sure to check your program calendar before booking to make sure there’s nothing already planned for you. Besides that, don’t book any other weekend trips until you get to Florence. There’s a good chance you’ll find new friends that you’d prefer to travel with, or just find out that your US friends aren’t good travel buddies for you. You might also hear about events in Florence that you want to stick around for. Once you find the people you want to travel with and get a handle on your schedule, reference this list, and get booking ASAP! When booking flights, check StudentUniverse and STA Travel for student prices, and also Skyscanner and Kayak and find the lowest price across those four sites. When booking trains, use RailEurope. You can pay in USD and can see options that use multiple different train operators. When booking buses , use GoEuro and Rome2Rio. Figuring out the best way to get from Florence to anywhere in Europe, use Rome2Rio. For easy travel packages with other study abroad students, use Bus2alps. You can use the promo code TheAbroadGuide for a 5% discount. A great option for solo travelers. For booking apartments, use Airbnb (that link will give you a $31 discount) and Booking.com. For booking hostels, use Booking.com or Hostelworld. When splitting travel costs between friends, use the app Splitwise. 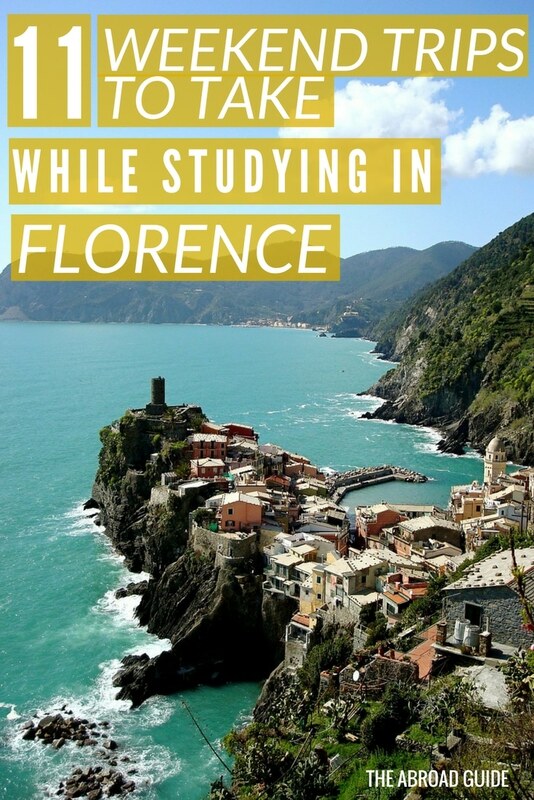 Ok, now onto the best weekend trips to take while studying abroad in Florence! 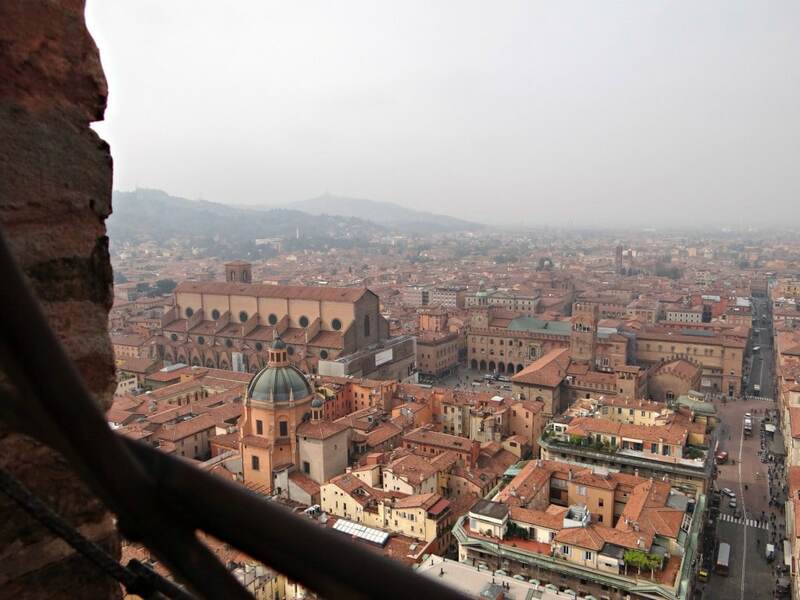 For a weekend trip that’s incredibly easy to get to, Bologna is a great option. 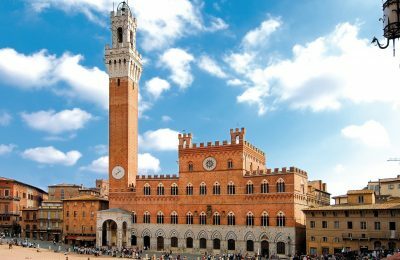 Located just 35 minutes from Florence if you take the fast train (or about an hour if you opt for the cheaper slow train), this is the place for foodies, as the region is considered the gastronomic center of the country. Bologna is the birthplace of Tagliatelle al Ragu (pasta with bolognese sauce– YUM), but you should also try piadine (flatbread-ish sandwiches), Parmigiano Reggiano, and other local delicacies while you’re there. Bologna is one of Italy’s biggest university towns, so it’s a great place to meet both Italian students as well as other international ones. Get ready to practice your Italian and have some decently-priced cocktails at one of the many student bars around the city. Here are more ideas for what to do while in Bologna for two days. Direct train from Florence to Bologna. Book the fast train in advance for cheaper rates (takes 35 minutes), or around 1 hour 30 minutes for the cheaper train (buy tickets at the station, don’t forget to validate!) Book fast train tickets on Rail Europe for youth rates (up to 25 years) in dollars. Read this post about how to navigate Italy’s train system before you travel. There aren’t any stand-out hostels in Bologna but you can get a basic hotel room for under $50 per person, and the nice part is you get all of the “extras” that you haven’t been getting at hostels — cleaning each day, fresh and free towels, free breakfast, etc. If you’re pinching pennies, only stay one night, and have two full days of eating and exploring before returning to Florence. Cristina Rossi B&B – great location, you can walk to just about everywhere you’ll want to visit. Hotel University – I stayed here with friends and it’s a lovely, basic hotel (with TVs) that has decent breakfast and friendly staff. Just around the corner is The Church, a bar that used to be, you guessed it, a church. Book a triple room for a cheaper price per person. Hotel Accademia – really great location, has rooms with four twin beds, and although a little pricier (starting around $45/night), it would be a treat to stay in, plus free breakfast and private bathroom! Also check Airbnb for other accommodation options. The Amalfi Coast is a really popular beach destination for both study abroad students and visitors from all over the world. People love it because the area has a really great mix of culture of sunshine/beach time. This is also where the world-famous Blue Grotto is, the beaches of Positano, and visitors love getting a pair of custom leather sandals made here. The area is made up of a bunch of small towns, so there’s plenty to explore. Tip: For a town that’s a bit off the beaten path here, visit Ravello. Insane views! Tip: Visit during the shoulder seasons for less crowds — try April and October. Book a high-speed train to Naples, which direct is just under 3 hours. Once you arrive, visit the Circumvesuviana Line ticket booth and get a ticket to your final destination. If you have class on Thursday afternoon, you’ll want to take the first train from Florence at 8am on Friday. Remember that the earlier you book, then generally the cheaper the price will be. 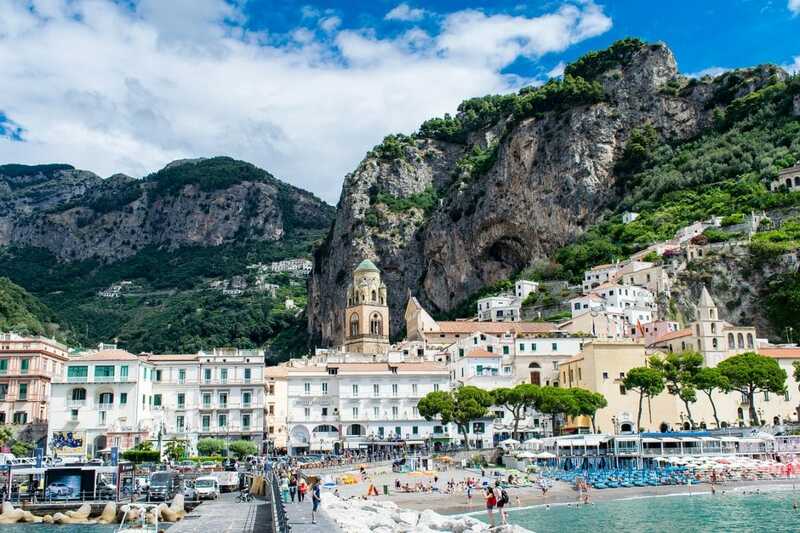 If you’d rather not deal with trains and want to wake up on the Amalfi Coast on Friday morning, Bus2alps can get you down there by bus on Thursday night and organize pretty much everything else for you. Use promo code TheAbroadGuide for a 5% discount. Seven Hostel – probably the most famous hostel in the area. It’s close to the beach and the train station, has a rooftop lounge and bar, and is a bit luxurious. Book by the bed or they even have private rooms. Hostel Brikette – this is what you picture when you think of an Italian seaside hostel– cute, quaint design with unbeatable views of the sea from their terrace. 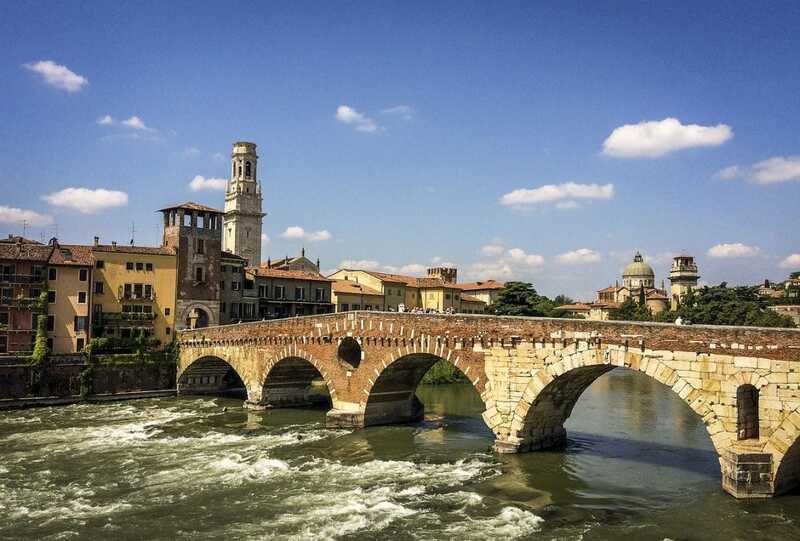 If you love Florence, you’ll really enjoy Verona. They’re fairly similar but have some differences that make it worth the trip. 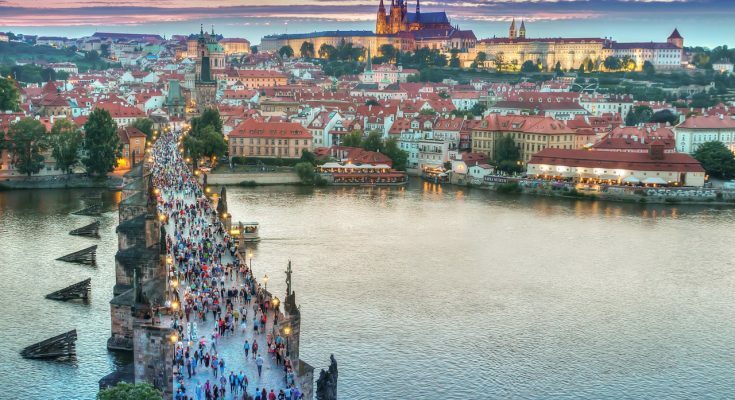 There are loads of world-famous cultural attractions to visit (although I personally think you should skip the overrated Romeo and Juliet balcony, as it’s not even real!) but you can also experience the local side of the city if you just venture off the path a bit. Super easy– book a high-speed, direct train to Verona on RailEurope. B&B The Lions – a quaint B&B in a good location. Casa Carega – a modern apartment in a great location for up to three people, quite reasonably priced. The city isn’t known for its hostels, and most of the decent hotel options are most likely out of your budget, so definitely check Airbnb for better prices for a private room or entire apartment, especially if you’re traveling in a larger group. Your host should be able to also recommend some cool, budget-friendly things for you to do and see, and there’s always the bonus of saving money on food if you’ve got a kitchen in your rental. Lots of people who study abroad visit Interlaken and say it’s one of their favorite, if not THE favorite, places they visited in Europe. It’s insanely gorgeous, and is a great representation of Switzerland. It’s also a great place for adventure activity lovers, and what study abroad student isn’t into adventure? 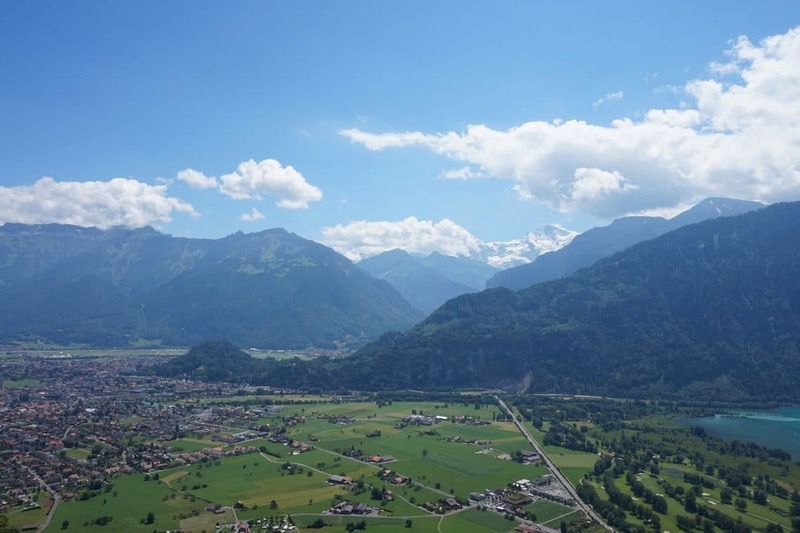 No matter what time of the year you visit, there are so many cool activities you can do, like skydiving, skiing the Alps, or canyon jumping (I did this — free-falling 100+ feet was INSANE). The downside of Interlaken is the price. The country as a whole is very expensive and this town is too. If you’re super-budget conscious, it’s doable, you just have to be creative with your time– go for a free hike, explore the town, cook at the hostel, etc. I’d also recommend using the company mentioned below, because they take students there most weekends, they’ve negotiated decent prices for their passengers. If you’re keen to get there on your own, train is the “easiest” option, since the closest airport to Interlaken is Geneva. To get there by train, you’ll need to get yourself to Milan, then change one more time before you make it to Interlaken’s station. How I got there was with Bus2alps. We left late on Thursday, so I slept on the coach bus and arrived early Friday morning. After a quick nap, I was up and ready for exploring that morning. It was way easier and less stressful than taking three trains. Use promo code TheAbroadGuide for a 5% discount on your trip. Balmer’s Hostel (in our best cheap hostels post) – this is where I chose to stay, and if you’re looking to party, this is the place to stay. If you want something quieter, look at my next option. But the hostel is huge, the atmosphere is busy and fun, and it’s like you’re staying in a ski lodge, complete with a hammock room. Just know that the rooms are tiny, so your bed might be right next to someone else’s, but you can get pretty cheap beds here if you opt for a larger room! Backpackers Villa Sonnenhof – more of a modern hotel than Balmer’s is, this place is pretty nice and offers a lot of extras for guests, which makes up for the higher price tag. Great location too. YouthHostel Interlaken – more like a luxe hotel than a hostel! Previous PostHow to Survive Study Abroad as a Vegetarian Next PostShould You Get a Master's Degree Abroad? Ah love this! I went to Springfest with Stoke Travel when I was studying abroad in Barca! Absolutely one of my favourite weekends of my study abroad! Really wish I made it to Cinque Terre though!